AlphaHomes.com was created by resident Alpharetta Georgia real estate agent and RE/MAX Realtor® Jeff Aughey, to serve current and future neighbors in Alpharetta and Johns Creek Georgia. Jeff has created e-guides for home buyers and sellers to supplement his local home search resources. Office: 678.205.4663 for answers to any questions about living in Alpharetta, Johns Creek and North Fulton County, Georgia. This is the most convenient Alpharetta and Johns Creek real estate website, with advanced search technologies that allow you to view listings in the MLS, or to ensure your own home is sold in reasonable time and for top dollar. We think you'll also find our web site to be a one-stop resource for your online real estate research. We're eager to tell you what we know about the local market for condos or homes, or preconstruction, or whatever is most interesting at the moment! We delight in helping people gain success in this market, and when our clients come out of the transaction happy and worry-free, we're just as thrilled as they are. Please have a look around, and contact us with any questions you might have about the Alpharetta real estate market or our services. 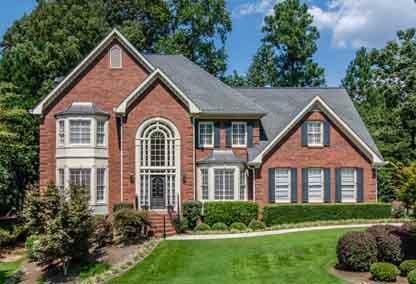 We would be delighted to help you find your dream home in these idyllic North Fulton County, Georgia areas.